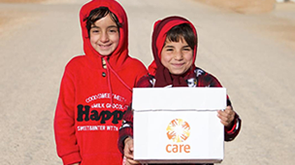 CARE began working in Zambia in 1992 with emergency relief programmes responding to severe drought and extreme poverty. We continue to respond to emergencies when they arise, but our emphasis has shifted to long-term, community-based development programmes, in rural and marginal urban areas. Our programme focuses on health, livelihoods and natural resources, water and sanitation and refugee support. We promote gender equality, greater and more meaningful participation of people living with HIV, and pro-poor policies at community and national level. Our Lendwithcare programme works with local microfinance institution partners to offer loans to people in poor communities who are starting or building up a small business. Find out more about Lendwithcare and how you can make a small loan directly to an entrepreneur in Zambia.